And Moses said to his servant: “I will not cease from my wanderings until I have reached the place where the two seas meet, even though I journey for eighty years”. But when they had reached the place where the two seas meet, they forgot their fish, and it took its way through a stream to the sea. And when they had journeyed past this place, Moses said to his servant: “Bring us our breakfast, for we are weary from this journey”. But the other replied: “See what has befallen me! when we were resting there by the rock, I forgot the fish. Only Satan can have put it out of my mind, and in wondrous fashion it took its way to the sea”. But he answered: “You will not bear with me, for how should you bear patiently with things you cannot comprehend? Moses said: “If Allah wills, you shall find me patient: I shall not in anything disobey you”. He said: “If you are bent on following me, you must ask no question about anything till I myself speak to you concerning it”. The two set forth, but as soon as they embarked, Moses’ companion bored a hole in the bottom of the ship. “Pardon my forgetfulness”, said Moses, “Do not be angry with me on this account”. They journeyed on until they fell in with a certain youth. Moses’ companion slew him, and Moses said: “You have killed an innocent man who has done no harm. Surely you have committed a wicked crime”. Moses said: “If ever I question you again, abandon me; for then I should deserve it”. They travelled on until they came to a certain city. They asked the people for some food, but the people declined to receive them as their guests. There they found a well on the point of falling down. The other raised it up, and Moses said; “Had you wished, you could have demanded payment for your labours”. “Now the time has arrived when we must part”, said the other, “But first I will explain to you those acts of mine which you could not bear with in patience. ‘Know that the ship belong to some poor fishermen. I damaged it because in their rear was a king who was taking every ship by force. “As for the youth, his parents both are true believers, and we feared lest he should plague them with his wickedness and unbelief. It was our wish that their Lord should grant them another in his place, a son more righteous and more filial. The person referred to as “One of our servants, whom We had endowed with Our grace and Our wisdom” is the figure of Khiḍr, “the Verdant One” who plays a pivotal role in Islamic mysticism. 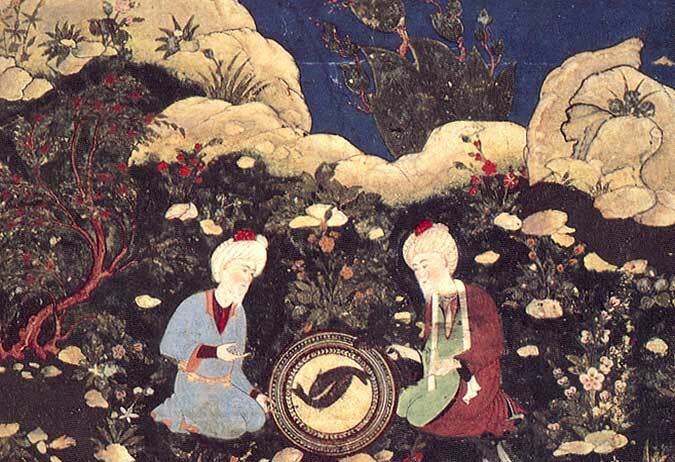 Ilyas and Khizr sit down by a fountain to eat their repast, consisting of dried fish; the fish falling into the waters, comes to life, and thus the seekers are made aware that they have found the Fountain of Life, from which both drink. Khizr and the biblical prophet Elijah perform haj annually and often appear in the disguise of bedawis. Both are entrusted with the duty of protecting travelers on their journeys. 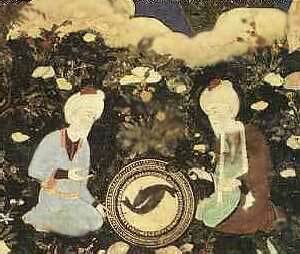 Khizr and Ilyas at the Fountain of Life. This hadith is narrated from Abu Sa`id al-Khudri by Abu Ya`la in his Musnad (2:332) and al-Hakim in al-Mustadrak (1984 ed. 4:581=orig. ed. 4:537), both with a chain containing `Atiyya ibn Sa`d who is weak, and with another chain (by Abu Ya`la 2:535) containing Sufyan ibn Waki` who is weak; also narrated from Abu Umama al-Bahili by Ibn Majah in his Sunan (book of Fitan) with a chain containing Isma`il ibn Rafi`, who is weak in his memorization; also narrated by Nu`aym ibn Hammad (d. 288) in Kitab al-Fitan (2:551) who said: al-Zuhri said: `Ubayd Allah ibn `Abd Allah [ibn] `Utba narrated to us that Abu Sa`id al-Khudri said… The latter is a sound chain but there are several unnamed links between Nu`aym and al-Zuhri. Also narrated by al-Dani (d. 444) in his book al-Sunan fi al-Fitan (6:1178) but with a chain that stops at the Tabi`i Abu Mijlaz. None of the weakness mentioned above in the chains raised to the Prophet — Allah bless and greet him — is grave. If the weak links are at the same levels of the narrators’ biographical layers and are judged to strengthen each other, it would raise the grade of the hadith to “fair due to corroborative/witness chains” (hasan li ghayrih), and Allah knows best. Al-Barzanji’s (d. 1103) said in his book al-Isha`a li Ashrat al-Sa`a (al-Jabr ed p. 204-205=Zakariyya al-Kandihlawi ed. p. 279-280) at the mention of this hadith: “This believer whom al-Dajjal kills is al-Khiḍr, peace upon him.” He then cites the proofs for this view and states that it is also the view of Ibn `Abbas, Ma`mar (d. 154), and others. Ibn ‘Ata’ Allah in Lata’if al-Minan (1:84-98) states that there is consensus among the Sufis that al-Khiḍr is alive. For the view that al-Khiḍr died see Ibn al-Qayyim, al-Manar al-Munif (p. 67-76) with ‘Abd al-Fattah Abu Ghudda’s comprehensive notes. Ibn al-Jawzi in his book ‘Ujala al-Muntazir fi Sharh Hal al-Khadir holds the extreme position that to suggest that al-Khiḍr is alive contradicts the Shari’a. Yet he contradicts himself as he narrates in another book, with his chain from Bilal al-Khawass that the latter met al-Khiḍr and asked him: “What do you say of al-Shafi’i?” He replied: “He is one of the Pillar-Saints (al-awtād).” “And Ahmad ibn Hanbal?” He said: “He is a Siddîq.” Ibn al-Jawzi, Manaqib al-Imam Ahmad (p. 144). Among the strongest transmitted proofs to this effect are two reports, one narrated by Imam Ahmad in al-Zuhd whereby the Prophet — Allah bless and greet him — said that Ilyas and al-Khiḍr meet every year and spend the month of Ramadan in al-Qudus, and the other narrated by Ya’qub ibn Sufyan from ‘Umar ibn ‘Abd al-‘Aziz whereby a man he was seen walking with was actually al-Khiḍr. Ibn Hajar declared the chain of the first fair and that of the second sound in Fath al-Bari (1959 ed. 6:435). He goes on to cite another sound report narrated by Ibn ‘Asakir from Abu Zur’a al-Razi whereby the latter met al-Khiḍr twice, once in his young age, the other in his old age, but al-Khiḍr himself had not changed. The hadith master al-Sakhawi stated: “It is well-known that al-Nawawi used to meet with al-Khiḍr and converse with him among many other unveilings (mukāshafāt).” Al-Sakhawi, Tarjima Shaykh al-Islam Qutb al-Awliya’ al-Kiram wa Faqih al-Anam Muhyi al-Sunna wa Mumit al-Bid’a Abi Zakariyya Muhyi al-Din al-Nawawi (“Biography of the Shaykh of Islam, the Pole of the Noble Saints and Jurist of Mankind, the Reviver of the Sunna and Slayer of Innovation Abu Zakariyya Muhyiddin al-Nawawi”) (Cairo: Jam’iyya al-Nashr wa al-Ta’lif al-Azhariyya, 1354/1935 p. 33). There are differences (ikhtilaaf) amongst the scholars regarding whether Khiḍr (Alay hissalaam) is still alive, or has died. There also exists Ikhtilaaf regarding whether Khiḍr (Alay hissalaam) was a Prophet or a saint. Many scholars are of the opinion that he is still alive, while others, such as Hafidhh Ibn Taymiyyah and his followers is of the opinion that he has died. Dajjaal will kill a person once and then bring him back to life, then he will ask him, “Do you believe that I am God?” That person will reply, “No! I am convinced that you are the Dajjaal of which the Prophet (May Allah bless him and grant him peace) informed us”. Dajjaal will throw him in his fire, which in reality will be Paradise.The narrator of this Hadith is Abu Is-haaq who says: It is commonly known that this person would be Khiḍr (Alay hissalaam). Abu Is-haaq was amongst the Taba’tabi’een and it was common knowledge during that period that Khiḍr (Alay hissalaam) was alive and his death will occur at the time of Dajjaal. King Zulqarnain discovered a type of water referred to as the ‘water of life’ which when drank would allow a person to remain alive forever. He departed with many people searching for it, and Khiḍr, (Alay hissalaam) was also with him. 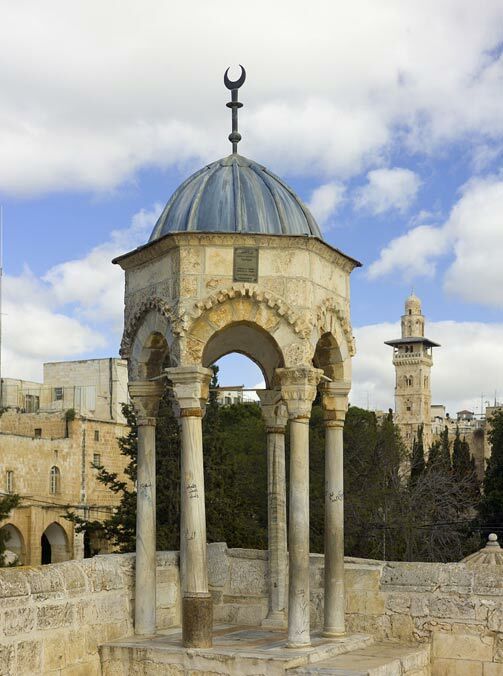 At one place Khiḍr (Alay hissalaam) drank some water and the King did not. Imam Bayhaqi said: “These narration’s are weak, but there are so many similar narrations, which suggests that they do have some origin. The coming of Khiḍr upon the death of the Prophet (May Allah bless him and grant him peace). (Sirat-un-Nabi and Tareekh ibn Kathir chap Demise of Prophet (May Allah bless him and grant him peace) by Hafidhh ibn Kathir). Hafidhh Ibn Kathir states that Khiḍr (Alay hissalaam) was the son of Adam (Alay hissalaam), who prayed to Allah: ‘O Allah, give my son Khiḍr a long life so that he lives until the Day of Judgement’. Adam (Alay hissalaam) also told Khiḍr (Alay hissalaam) ‘O my son, you shall bury me after my death’. He also gave him news of his long life. Khiḍr (Alay hissalaam) also sat in the boat of the Prophet Nuh (Alay hissalaam). There have been many narrations of various types some which have been rejected by the scholars for example Hafidhh Ibn Kathir rejected the statements which claimed that Khiḍr (Alay hissalaam) was the son of Pharaoh or that he was born during Pharaoh’s time. He strictly says he was alive a long time before Musa (Alay hissalaam). From the aforementioned evidence, it can be clearly seen that the narrations support the opinion of those Ulama who say that Khiḍr (Alay hissalaam) is still alive. In Bukhari there is a Hadith where the Prophet (May Allah bless him and grant him peace) states, ‘Of all the people who are alive upon the earth on this day, none will be living in a hundred years time’. Secondly he said that: The Prophet (May Allah bless him and grant him peace) supplicated (du’a) upon the occasion of the battle of Badr. “There are three hundred and thirteen people with me. If we do not triumph then no one will be left to worship you Oh Allah.” Following this evidence, Hafidhh Ibn Taymiyyah and his follwers conclude that if Khiḍr (Alay hissalaam) was alive then he should have joined the army and made the number amount to three hundred and fourteen. (1) The Prophet (May Allah bless him and grant him peace) stated: “Of those alive on the earth, none will be alive in a hundred years time”. It is possible that Khiḍr (Alay hissalaam) at that particular moment was present in a location other than this world (dunya). Just as Isa (Alay hissalaam) was also ‘alive’ at that time. If Isa (Alay hissalaam) never came down to help the Prophet Muhammad (May Allah bless him and grant him peace) in the battle of Badr then this did not break his promise that he made with Allah most High, in the spiritual world. In the same manner, there is nothing inappropriate regarding the fact that Khiḍr (Alay hissalaam) never joined the army for the battle. Having said that there is no confirmation that he did or did not join the Muslim army in the Battle of Badr since he is an unseen person. It may also be possible that he joined, but our Prophet (May Allah bless him and grant him peace) never mentioned his name like the thousands of angels who fought in this great battle but the Prophet (May Allah bless him and grant him peace) never mentioned all their names. So this means that Hafidhh Ibn Taymiyyah’s suspicions are insufficient to support the opinion that Khiḍr (Alay hissalaam) has died. There is not even a single weak Hadith to support this opinion let alone an authentic one. (2) At the time of the Battle of Badr the population of the Muslim Ummah was not just three hundred and thirteen, In fact there were Muslims present in Madinah Munawarah who did not fight in the battle. The explanation of the du’a is. ‘There will be none to worship you with victory.’ For no doubt the Muslims in Madinah, Abysinnia and Makkah would have continued to worship Allah. To conclude this chapter, it is clear that Ibn Taymiyyah and those who adhere to his principles do not believe that Khiḍr (Alay hissalaam) is alive. It is very disturbing to see that on one side many narration’s exist which prove the validity of Khiḍr (Alay hissalaam) being ‘alive’ but on the other side there are the suspicions of Ibn Taymiyyah and those who blindly follow him. Such as, Hafidhh Ibn Kathir, who after having written the above narrations was convinced by Hafidhh ibn Taymiyyah’s understanding, still continue to create doubts in the minds of Muslims. It must be understood that the belief that Khiḍr (Alay hissalaam) is still alive is not a matter of aqeedah and has no relation to Imaan and kufr. We ask Allah ‘O Allah whatever we have said, if it is true accept it but if it is false we ask you to forgive us’. Amin! 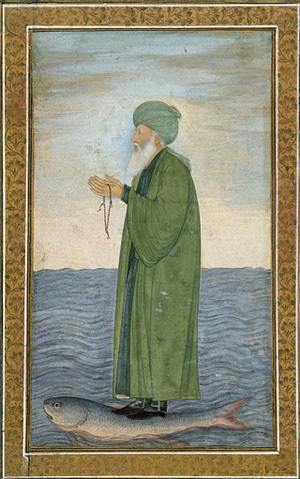 In western Asia, Moslem or Hindu symbolic art shows the Saint, al-Khizr, dressed in a green coat being carried on top of the water by a fish which conveys him over the river of life. At the time of Islam’s appearance in the seventh century there was a large pool of myths and legends in the Middle East from which Muslims soon drew to enrich their understandings of the past, of life and death, and of the sacred. Khadir was a figure who seems to have been a kind of magnet for such stories in the early Muslim community. His name means ‘the green one’, which gave rise to attempts to explain why a man would be associated with this color. Some accounts say it derives from belief that his color was a result of having gained immortality by drinking water from the miraculous spring of life. They also associated his color with plant life and fertility, and that the earth turned green wherever he stood or prayed. By some accounts he was among only four men believed to have ever attained immortality, the other three being Elijah, Idris,and Jesus.Stories that he lived on a distant island or at the meeting place of two seas and of his ability to assist people far from home made him a patron saint of sailors living on the shore of Syria or a deity for those traveling in the Indian Ocean region. An ambulance service in Turkey today is named after him, in honor of his ability to assist others in time of need. The Dutch scholar A. J. Wensinck proposed that elements in his story were related to the Epic of Gilgamesh of ancient Mesopotamia and to the Romance of Alexander the Great of the Late Antique era (third century to eighth century C.E.). All three story cycles involved heroic figures who traveled to the limits of the known world and uncovered hidden secrets. 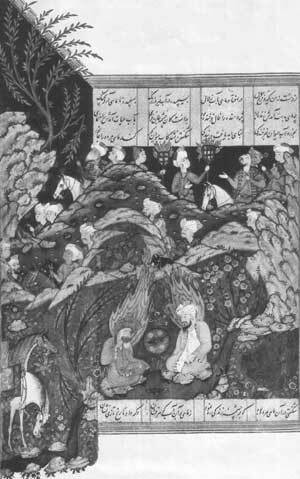 Khadir even appeared as a companion of Alexander in his quest for the spring of life in Arabic versions of the legend. Indeed, Khadir was famous in Islamic tradition for his knowledge of the unseen. So much so, in fact, that some Muslim scholars even ranked him among the prophets, thinking that his insights could have come only from a divine source.Ibn Ishaq (d. 767) included a chapter on Khadir in his collection of prophets’ tales, equating him with the biblical prophet Jeremiah and relating how he interceded on behalf of the wayward Children of Israel with God. In Palestine and Syria Khiḍr is associated with the Christian Saint George for reasons that are not entirely clear. Although Khadir was never mentioned in the Quran,the majority of commentators identified him with an unnamed ‘servant’ of God mentioned in its 18th chapter (Q 18:60–82). This passage was a legend about the journey of Moses to the meeting place of the two seas, which some commentators said was located between the seas of Byzantium and Persia (the Gulf) — perhaps in the Suez region. There he encountered one of God’s servants (Khadir), who had been given the gift of God’s mercy and knowledge. Moses asked to travel with him so that he might acquire some of his knowledge. Khadir reluctantly agreed on the condition that Moses promise not to ask questions and be patient in his quest for knowledge. During their travels, Khiḍr, acting like the trickster known to the legends of the Native Americans, did three shocking things. He scuttled a boat in which they were sailing, he killed a young man without provocation, and he built a crumbling wall without charge. Moses lost his patience at each incident, much to Khadir’s chagrin, and demanded an explanation.Exasperated at Moses’s inability to grasp the meaning of his deeds, Khadir at last explained himself. He scuttled the boat because a tyrannical king was about to take it from its impoverished owners. He killed the youth because he was destined for a troubled life that would bring only grief to his faithful parents. Lastly, he built the wall to protect a buried treasure belonging to two orphans so that they had a means of support when they grew up. In each instance, Khadir demonstrated an uncanny knowledge about the future, which he attributed to God. Later commentators saw in the story the interplay of two kinds of knowledge. One, possessed by Moses, was knowledge of the material world and its apparent meanings. The other, possessed by Khadir, represented knowledge of the invisible world of the spirit and its deeper meanings. Sufis have drawn inspiration from Khadir because of his knowledge of the unseen, his close relation to God, his capacity for travel, and his ability to flout conventions in order to teach deeper truths. He was an exemplary guide (Murshid or Pir) who could lead them to immortality, breaking their ties to the material world. 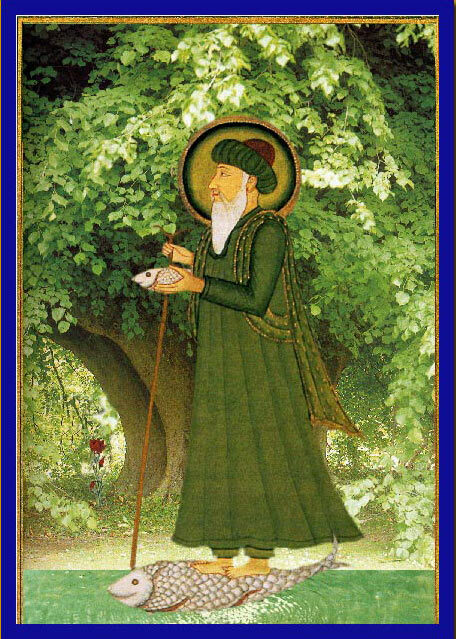 Several mystics, including Ibn al-Arabi (d. 1240), claim to have met him and been initiated by him into the Sufi way. Among the Twelve Imam Shia, Khadir is believed to have a close association with the 12th Imam, who is in occulatation (ghayba). A mosque/ shrine complex in Jamkaran, Iran (near the holy city of Qom), has become a popular pilgrimage site where people go to seek the assistance of both Khadir and the 12th Imam. Ismailis note that Khadir practices tawil (esoteric interpretation, Q 18:78) when he explains his troubling actions to Moses, thus affirming a key method used in interpreting scripture to arrive at its hidden (batini) meaning. Alawis in Turkey fast for three days in honor of Khadir. Many mosques in Muslim countries have been named after him. In addition to the shrine in Jamkaran, other shrines dedicated to Khadir exist on the island of Abadan (Iran) in the Persian Gulf, on Failaka Island off the coast of Kuwait, and in Sri Lanka at Kataragama, Bosra (Syria), Jerusalem, Iraq, and Samarkand (Uzbekistan). 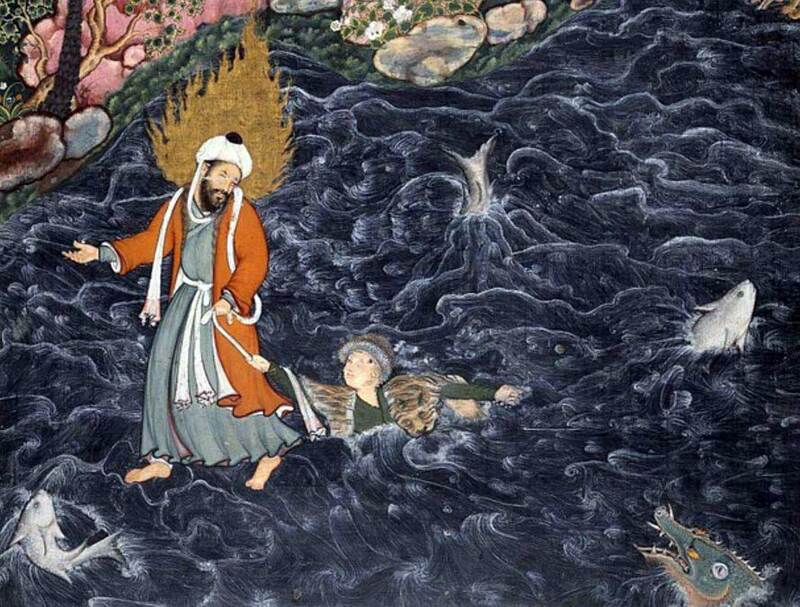 Prophet Elijah (Al-Khidr) Rescuing Nur ad-Dahr from the Sea, a scene from the Hamzanama, here imagined in a Persian miniature by Mir Sayyid Ali (c. 1550 C.E.). In ancient Islamic legend, there exists the wonderful, contrary figure of Al-Khiḍr, an immortal prophet who kills a youth out of mercy and who scuttles a boat of some travelers to deny the greed of a king. He is described as God’s special servant, a protector, trickster, saint, and mystic, who has been identified with various ancient deities. The roots of Khiḍr, also known as Khadir, go back to the earliest Muslim text, the Quran, in which he accompanies Moses as a servant of God. 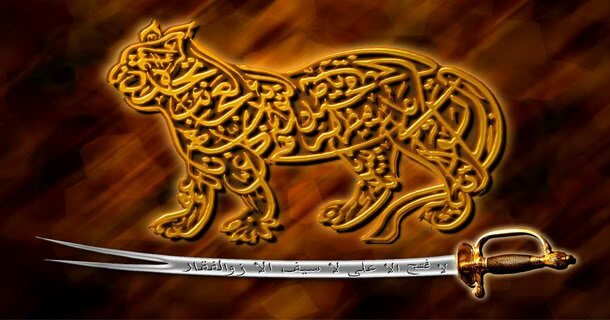 But because he is immortal, Khiḍr is said to have appeared to other Muslims through the centuries. Some scholars maintain that the character of Khiḍr is much older than Islam itself and that his roots lie in Utnapishtim of ancient Mesopotamia, or in the Canannanite god Kothar-wa-Khasis, or even the Zoroastrian water goddess Anahita. Khiḍr has been identified, some say falsely, with the Christians’ St. George and with Elijah of the Bible. He has been equated with Europe’s Green Man and with Native American tricksters. Khiḍr does strange things that seem wrong but which are steeped in wisdom and benevolence. In the Quran, the figure of Moses’ traveling companion of Chapter 18 has been identified as Khiḍr, though he is not named as such. The two go on a journey, and Khiḍr warns Moses not to question him about what he does. Moses does question him all along, only to regret it in the end. Khiḍr kills a youth, tears open a boat at sea with people aboard and rebuilds a wall that’s about to collapse even though the villagers had denied him and Moses food. “This is parting between me and you. I will inform you of the interpretation of that about which you could not have patience. Jews tell these same stories but attribute them to Elijah. 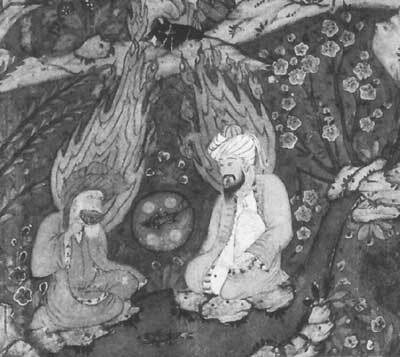 In a legend about Khiḍr, a Sufi dervish entices a king to support him for three years, after which, he tells the king, he will produce the Green Man (Khiḍr resembles the word “green” in Arabic, though others give other etymologies for the name). At the end of three years, the dervish of course cannot present Khiḍr to the king, who is eager to meet him, so the dervish flees. But the dervish meets a man all in white who takes him back to the king. The king commands his ministers to pronounce judgment on the sneaky thief. One minister tells the king to cut the dervish into pieces. Another counsels him to boil him alive, another to throw him in the furnace. The fourth counsels the king to pardon him. The man in white agrees with all, saying each thus indicates his origin, respectively, son of a butcher, of a cook, of a baker and of nobility. The king pardons the dervish, not only because that is the noble thing to do, but because the man in white brought before him by the beggar is El Khiḍr. Khiḍr, according to legend, is the only person to have tasted the liquor of the Fountain of Immortal Youth in the East. He was wandering in a desert and came to a dried-up spring. He dipped a dried fish in it, and the spring came alive again. Khiḍr “realized that he had found the fountain of life. He dived in and became immortal and his cloak turned green. He is often associated with the primordial ocean and is said to live on an island in the middle of the sea,” says The Penguin Dictionary of Symbols. Among the Arabs of Syria even today he is a sea spirit and the patron saint of the sea. There he is called “He who walks in the seas.” Muslims revere him as a saint and launch tiny boats with lights as an offering to him to rid themselves of sins or evils that menace them. The legends say Khiḍr dwells on the edge of the world, where the celestial and earthly oceans join. He is a mystical figure of plant life and the sea and is patron saint of travelers. Some say he was a son of Adam and that he retrieved his father’s body after the Biblical flood. Still others say he was born of the Earth, in a cave, and was fostered by wild animals. He grew up and became the servant of a king, the legends say, identifying that king as Allah or his Spirit. The aspect of Khiḍr-as-Friend is evident in the episode of Dhul-qarnain who in Islamic mysticism is equated with Alexander the Great (‘The Two Horned One’), and also Moses. “They will ask you about Dulqarnein. Say: “I will give you an account of him. “We made him mighty in the land and gave him means to achieve all things. He journeyed on a certain road until he reached the West and saw the sun setting in a pool of black mud. Hard by he found a certain people. “Dhulqarnein”, We said, “You must either punish them or show them kindness. He replied: “The wicked” we shall surely punish. Then they shall return to their Lord and be sternly punished by Him. As for those that have faith and do good works, we shall bestow on them a rich reward and deal indulgently with them. “He then journeyed along another road until he reached the East and saw the sun rising upon a people whom We had utterly exposed to its flaming rays. So he did; and We had full knowledge of all the forces at his command. “Then he followed yet another route until he came between the Two Mountains and found a people who could barely understand a word. On that day We will let them come in tumultuous throngs. The Trumpet shall be sounded and We will gather them all together. On that day Hell shall be laid bare before the unbelievers, who have turned a blind eye to My admonition and a deaf ear to My warning. In western Asia, Moslem symbolic art shows the Saint, Al Khizr, dressed in a green coat being carried on top of the water by a fish which conveys him over the river of life. In worldwide Islamic tradition, the story of the prophet or saint known as Khwaja Khadir (Khizr) occupies a role of special distinction. 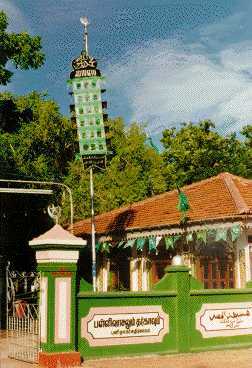 A popular and familiar figure since early pre-Islamic times, al-Khadir (Arabic: ‘The Green Man’ ) is reputedly the only soul who has gained life immortal from tasting of the Ma’ul Hayat or Fountain of Life once in the distant past, possibly at Kataragama or Khidirgama, ‘the home of al-Khadir’ according to oral traditions that likewise live on to this day. 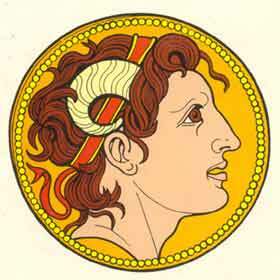 Alexander the Great (356-323 BC) (Arabic al-Sikandar or Iskandar) was depicted in Greek coinage as ram-headed, (Arabic: Zul-Qarnain ‘Lord of Two Horns’) indicating that he was regarded as a living deity while yet a man. In spite of the scorn and disbelief evinced by modern-educated Muslims, the great majority of Islamic believers have long accorded the utmost respect toward this mysterious figure whom theologians variously class as a saint, a prophet or even as an angel. Elusive yet omnipresent, al-Khadir has long been said to reveal himself to those who are worthy of his companionship, to whom he transmits the sirr or divine secrets. 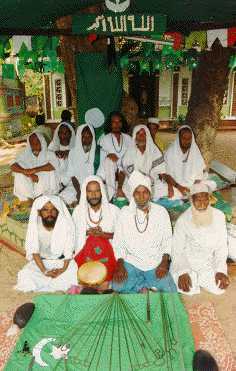 Even today, face-to-face encounters with Khwaja Khadir are not uncommon among Islamic mystics in Sri Lanka and worldwide. By assembling a composite picture of al-Khadir as he is portrayed in the Holy Qur’an, in Persian literature and pre-Islamic legendary sources, a possible basis for Kataragama’s long association with the ever-youthful ‘servant of Allah’ emerges. Intriguing patterns come to light that relate al-Khadir to Iskandar or Alexander the Great, who may represent the historical archetype from which evolved into the pan-Indian cult of the war god Skanda. Popular tradition concerning al-Khadir also finds ample support among learned scholars, the ulema. 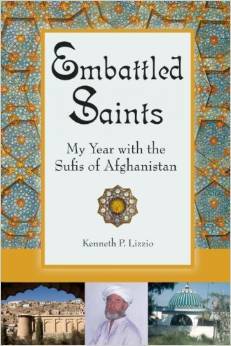 Some say that Khizr lived at the time of the biblical prophet Abraham and that he still may be seen at sacred places. According to the Isaba, 882, he was given immortality after a conversation with his friend the archangel Rafa’il in order to establish the true worship of God on earth and to maintain it. According to hadith or canonical account, al-Khadir was seen at the funeral of the Holy Prophet Mohammed (sal) offering condolence to the Prophet’s bereaved companions. Khizr lives on an island (al-Tabari, i, 442) or upon a green carpet in the heart of the sea (al-Bukhari, Tafsir, sura 18, bab 3). He can find water beneath the ground and talks the language of all peoples (al-Suri). Others say that he can make himself invisible at will. Khizr and the biblical prophet Elijah perform haj annually and often appear in the disguise of bedawis. Both are entrusted with the duty of protecting travelers on their journeys. Elsewhere, al-Khadir’s realm is an earthly paradise within the human world where Khadir rules over saints and angels; known as Yuh (also a name of the sun), it is situated in the far North. In Islamic tradition, al-Sikandar or Iskandar is recalled as a saintly leader or prophet whose armies conquered both East and West. Together with Khizr, who is variously portrayed as Alexander’s cook, vizier or general leading the vanguard of his troops, Alexander is represented as having set out to reach the End of the World or the Land of Darkness in search of the Water of Life. “Alexander is guided by Khizr, but when they come to a parting of the ways, each follows a different path, and Khizr alone accomplishes the quest. “Nizami attributes Iskandar’s failure to his eagerness (deliberately, in planned fashion) whereas in the case of Khizr ‘the Water of Life arrived unsought’.” Khizr the cook, general or vizier did so naturally and in the course of duty, whereas Alexander was following his ‘own’ plan, i.e. with a sense of personal accomplishment or authorship. In this sense, Iskandar failed in the grail quest because he was, as it were, seeking to set himself up as a divinity, a purely hypothetical partner to Allah, Who alone is real. In contrast, Khizr found the Water of Life without even suspecting it. In the Holy Qur’an, passages concerning al-Khadir and Zul-qarnain occur in the eighteenth Sura called, significantly, Kahlf (Arabic: ‘cave’; cf. Sanskrit Guha ‘cave’, also a name of Skanda), a compendium of mystical secrets revealed in response to three questions about legendary figures put to the Prophet Mohammed (sal) by skeptical Jewish doctors. One concerns the legend of time-traveling sleepers sealed up in a cave.